The main objective of this report is to analysis Foreign Trade Operation of AB Bank Limited, here focus on import-export and branch performance in this sector. Other objectives to focus on the whole import-export mechanisms and the remittances activates. Report also observe the working environment in commercial banks and analysis the rules and regulation of import-export mechanisms. Finally identify some problems and also make some recommendations. Now a day in the competitive world practical experience is a must. It is possible to gather theoretical knowledge by passing through books but it is insufficient to acquire practical experience. For a student internship training is the only way to gather practical experience. Internship program is an indispensable part of BBA (Bachelor of Business Administration) program that bridge the gap between the theoretical knowledge and practical situation. I was assigned to the Arab Bangladesh Bank Ltd. (ABBL) at Karwan Bazar Branch, Dhaka to take the real banking experience in order to reinforce knowledge acquired so far from the BBA program. I was placed in ABBL to complete my internship. In this report, efforts have been made to identify the import-export and remittances procedure of Foreign Exchange Department of AB Bank Limited. Foreign exchange include foreign currency and any instrument drown, accepted, made or issued, clause (13), article-16 of the Bangladesh order, the area of foreign exchange is import, export and remittances. And this report is focus on also import, export and remittances. Import and export both are focus on letter of Credit (L/C). Back to Back L/C is a pre shipment finance by way of opening L/C in favor of a local or foreign supplier for purchase of raw material or the finish mechanism, as the case may be, to execute export order. Export bill for collection are document which are presented to the bank by the seller or exporter to collect from the buyer through the buyer bank. To execute export order under L/C or firm contract the bank award Packing credit facility to meet client working capital management. The main activity of remittances department are, People are sent money from foreign country, When we go to foreign country in that time need dollar endorsement like-Traveler Cheque (TC), Foreign Demand Draft (FDD), Telegraphic Transfer (TT) this types of works are done by this department. The main objective is to know the significant relation that exists between import-export and branch performance in this sector. On the other hand the significant relation that exists between import-export and business world. To know and focus the whole import-export mechanisms. To know and focus the remittances activates. To know and focus the rules and regulation of import-export mechanisms. Identify some problems and also make some recommendations. Study of files, circulars and practical work. Annual Report of 2009 etc. This study includes both quantitative and qualitative data. However, this report is basically qualitative in nature. In all the cases depending on the requirements data have been collected from different sources. Different publications regarding banking functions, foreign exchange operation, and export-import policies. 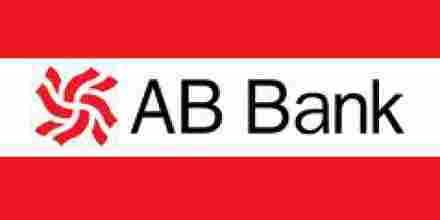 The authorized share capital of AB Bank Ltd. Was Tk. 282.34 million, divided into 2.82 million ordinary shares of Tk. 100 each. The paid-up capital of the bank was Tk.85 million, out of which, Tk.80 million was provided by the sponsor directors. The government of the Peoples Republic of Bangladesh subscribed Tk. 5 million in the share capital of the Bank and has since nominated one director in the board as per Article 95 of the Memorandum and Article of Association in 1983. During 1984, issuing Public shares of Tk. 15 million raised the paid-up capital. The authorized capital has been raised to Tk.200 crore and paid up capital 74.32 crore as on 31.12.2007. In the past paid up capital AB Bank, Dubai Bank Limited had the major share comprising 60% of total share holdings. Dubai Bank Ltd. Was the joint sponsor with the local four entrepreneurs. In 1986, Dubai Bank Ltd. Merged with the Union Bank of Middle East (UBME) and subsequently Union Bank of Middle East (UBME) inherited the shares. They continued as shareholders till early part of 1987 when they decided to off-load their investment in Bangladesh. In terms of Article 23 (a) and 23 (b) of the Articles of association of the company and with necessary approvals of the relevant authorities including the Bangladesh Bank, the shares held by them in the company have been transferred to Group “A” shareholders. Foreign Exchange Act. 1947 defines foreign exchange as “Foreign currency and includes deposits, credits, and balances payable in foreign currency as well as drafts, travelers cheques, letter of credit, bills of exchange drawn in local currency but , payable in foreign currency”. According to Dr. Paul Einzig, “Foreign exchange is the system or process of converting one national currency into another and transferring money from the country to another.” Foreign exchange deals with foreign trade and foreign currency. No country is self-sufficient in all the goods. Some countries have special advantage to produce some items. Bangladesh can manufacture readymade garments easily due to lower cost of labor. So Bangladesh is exporting readymade garments to USA where as USA is exporting machinery to Bangladesh due to their favorable transaction to that item. These kinds of cross border transaction or exchange of goods are called foreign trade. ABBL undertakes spot purchase and sales foreign currencies by deploying its own fund. Bank provides service as an agent for the transa­ction and earns service charge, commission etc. Bank invests its fund for the purchase of foreign currencies and sale of such currencies on the basis of present transaction and may earn profit thereof. Conversion of currencies or exchanges is known as foreign exchange transactions. The conversion may arise for a transaction between a bank and its customers or between a bank and another bank at home or abroad. The transaction involves at least two currencies. For a bank in Bangladesh, the process of conversion frequently involves conversion of Bangladeshi taka into foreign currencies or vice- versa. For instance, one of the customers of your bank wishes to send an amount of $1000 to his son in USA. Assuming that this remittance is permissible or that permission from the exchange control authority has been obtained, you will issue a draft in favour of the beneficiary for $1000 drawn on your USA correspondent or a branch of yours, if any, in favour of your customer’s son and ask your customer to pay the equivalent amount in Taka. The transaction involves two things: payment of $ 1000 from your dollar account – your Nostro account maintained with your USA branch or correspondent and recovery of its taka equivalent at the ruling ready (spot) rate of exchange between taka and dollar. In another instance, your customer may ask you to buy a draft for Tk.10000 drawn on a bank in Iran towards the value of jute bags supplied to the Iranian buyer against a letter of credit open by a bank of Iran. If you are satisfied that the documents accompanying the drafts are in order, you will pay the taka amount and ask that bank of Iran to pay you equivalent amount in dollar or Iranian Real. In the illustration given above, remittance of $1000 to USA would involve conversion of local currency into a foreign currency and in the later case the transaction would involve conversion of a foreign currency- dollar or Iranian Rial into local currency. A Bank’s Foreign exchange department has three definite wings through which foreign exchange transactions are conducted. The achievement of AB Bank in the above three areas of foreign exchange business has been quite phenomenal. The Bank has been providing services to import and export trade and for repatriation of hard-earned foreign exchange of Bangladeshis living and working abroad and has, by now, consolidated its position in these areas. The following chapters will discuss about these areas in details. Import trade of Bangladesh is controlled under the Import & Export control Act (IEC) 1950. Authorized Dealer Banks will import the goods into Bangladesh following import policy, public notice, F, E circular & other instructions from competent authorities from time to time. Buying of goods & services form foreign countries for sales is considered as import. The person or organization who import the goods & services form foreign countries is known Importer and from which goods & services are imported is known as Exporter. In case of Import, the importers are asked by their Exporters to open a Letter of Credit (L/C). So that there payment against goods & services is ensured. Banned list: Banned goods are not allowed to import through the foreign exchange transaction. Such as Live Swine, Eggs of shrimps and prawns etc. Restricted list: Any item, which is restricted by the “Import Policy Order 1997-2002” in Annexure –1(b) shall be importable only on fulfilment of the conditions (b) specified therein against the item. In addition to the conditions mentioned in the Restricted and Banned Lists the conditions restrictions and procedures for import of various items mentioned in the test portion of this Order, shall as usual apply in case of import of those items. Import Trade Control Schedule Numbers- For import purpose use of new ITC Numbers with at least six digits corresponding to the classification of goods as given in the Import Trade Control Schedule 1998, based on the Harmonized Commodity Description and Coding System shall be mandatory. NOC on the basis of ROR (Right of Refusal): No objection Certificate on the basis of right of Refusal form any authority shall not be required for import of any freely importable item by any Public Sector Agency. However, in cases where a public sector agency is required to import banned or restricted items included in the control list prior permission of the Ministry of Commerce shall have to be obtained on the basis of ROR issued by the ministry of Industries or by the Sponsoring Ministry/Division or by both as the case may be. (a) Goods from Israel or goods originating form that country shall not be importable. Goods shall also not be importable in the flag vessels of that country. (b) All kinds of import from and export to Serbia and Montenegro, fragments of former Socialist Republic of Yugoslavia shall be banned. Pre- Shipment Inspection: Unless otherwise specified pre-shipment inspection of imported goods shall not be obligatory in case of import be the private sector importers. Shipment of Bangladesh Flag Vessels: Subject to waiver specified below shipment of goods shall normally be made on Bangladesh flag vessels. The Bank must have adequate manpower trained in Foreign Exchange. Prospect to attract reasonable volume of Foreign Exchange business in the desired location. The bank meticulously complies with the instruction of Bangladesh Bank. The bank will commit to deal in Foreign Exchange within the limit & will submit periodical returns as instructed by Bangladesh Bank. To make arrangement with Foreign Correspondent. Buying & Selling Foreign currencies. Opening of L/C & Settlement of Payment. Opening & Maintenance of Accounts with Foreign Banks under intimation to Bangladesh Bank. Letter of Credit (L/C) is a payment guarantee to the seller by the issuing bank on behalf of the importer. In other words, it is a letter of the Issuing Bank to the beneficiary undertaking to effect payment under some agreed conditions. L/C is called documentary Letter of Credit, because the undertaking of the Issuing Bank is subject to presentation of some specified documents. Through the L/C Buyers & Sellers enter into a contract for buying and selling goods/ services and the buyer instructs his bank to issue L/C in favour of the seller. Here bank assumes fiduciary function between the buyer and seller. To import a person should be an importer. In accordance with Import & Export Control Act, 1950 the office of chief Controller of Import & Export provides the registration (TRC) to the importer. After getting this person has to secure a letter of credit authorization from Bangladesh Bank. Then he becomes a qualified importer; He is the person who requests or instructs the opening bank to open an L/C. He is also called opener or applicant of the Letter of Credit. Membership certificate from Trade Association Certificate of incorporation, Article and Memorandum of Association. Partnership Deed for partnership firm. To obtain import registration certificate (IRC) the applicant will submit the following paper to the CCI & E through this nominated Bank. Partnership deed/certificate of registration with the register of join stock companies where applicable. On being satisfied, the CCI & E issues IRC obtain original copy of treasury challan for payment of registration fee. Applicant to be Bank’s A/C Holder: Bank will open the L/C on behalf of an entity who has an account with the Bank. Unknown person will not be allowed to open L/C. Registered importer: Before opening the L/C bank must confirm that the L/C applicant is a registered importer or personal user, and the IRC of the importer has been renewed for the current year. Permissible item: The item to be imported must be permissible and not banned item. If the item is from conditional list, the condition must fulfill to import the same. Market Report: Bank will verify the marketability of the item & market price of the goods. Some times the importer may misappropriate the Bank’s money through over invoicing. Sufficient Security or margin: Price of some items fluctuates frequently. In case of those items Bank will be more careful to take sufficient cash margin or other security. Business Establishment: Bank should not open an L/C on be half of a floating businessman. The importer must have business establishment, particularly he must have business network for marketing the item to be imported. Restricted Country: Goods not to be imported from Israil. Credit report of the beneficiary: It the amount of L/C in one item exceeds TK. 5.00 lac, suppliers credit report is mandatory. Bank will collect credit report of the beneficiary through its correspondent in abroad. The export policy 1997-2002 has been formulated by the government to operate within imperative and opportunities of the market economy with a view to maximizing export growth and narrowing down the gap between import payment and export earning. As per existing Export Policy an Exporter can export any goods or services except the items listed as band and restricted in the said policy.Duration of present EPO-5 years effected from 1st July 1998, but valid till announcement of new policy. Foreign Exchange Regulation Act, 1947 Clearly states that nobody can export by post and otherwise than by post any goods either directly or indirectly to any place outside Bangladesh, unless a declaration is furnished by the exporter to the collector of customs or to such other person as the Bangladesh Bank (BB) may specify in this behalf that foreign exchange representing the full export value of the goods has been or will be disposed of in a manner and within a period specified by BB. So a clear lawful procedure must be followed in case of export of goods & services. Selling goods to foreign countries against of foreign currency. Export means lawfully carrying get of anything from one country to another country for sale. The import and export trade of the country is regulated by the IEC Act. 1950. As per export policy order, 1997-2002 now in force an exporter can export any goods or services except the items listed as banned and restricted in the said policy. Growth of national wealth, increase of production in export sectors, generation of employment & flow of capital and to achieve the growth of GDP target @7%. Application as per format prescribed by CCI & E.
Membership Certificate from a Chamber of Commerce. Partnership deed (Registered / Un-Registered) for partnership business concern. Memorandum & Articles of Association & its incorporation certificate for public limited company. Recent passport size photographs of the applicant. Treasury challan showing payment of fees for ERC. Export under L/C: Exporters are allowed to export the commodity under irrevocable L/C, under this type of export, exporter will ship the goods as per terms of the credit and will get payment as per arrangement of the credit. A firm Contract/Consignment Basis Export: Exports are allowed against firm contract. As per contract, exporter will ship the goods and the buyer will make payment after selling the consignment. Export against Advance Payment: Sometimes exporter receives payment in advance. In that case AD should obtain a declaration from the exporter on the “Advance Receipt Voucher certifying the purpose of the remittance. Then the exporter will export the goods against the advance payment. After due passing of EXP, the exporter then execute shipment. As evidence of export and as per terms of the export L/C, Contract, exporter must prepare document in order to get his payment and to facilitate release of goods by the buyer abroad. Document are of (2 (two) types. i) Financial document: The Financial document, prepared by exporter is known as Bill of Exchange or Draft. It is prepare by the exporter directing the L/C issuing Bank to pay sum of money at a certain date or determinable future time to negotiating Bank or order. The parties to a Drafts are Drawer, Drawee, Payee, Endorser & Endorsee..
ii) Commercial Document : The documents evidencing description and other details of goods shipped and supporting other terms and condition of L/C Contract are commercial documents. GSP Certificate issued by EPB. ILC means L/C within the same country. This type of L/Cs is opened when seller does not believe the buyer though they are in the same country and also in the cases where the sales contract is of a big amount. ABBL has couple of ILC. Pre-shipment investment is finance, allowed by a Bank to an exporter, to meet the cost up to the shipment of the goods to overseas buyer. The purpose to the investment is to purchase Raw materials or finished goods or manufacturing processing. Packing and transporting the goods. Export documents comply with the credit terms. Party’s past performance is satisfactory. Any other security in case of export under contract. In terms of export policy order 1997-2002 of exchange control Manual Bangladesh Bank, produces of export bills must be repatriated within a maximum period of four months. This is period may be extended by Bangladesh Bank on reasonable grounds, it has already been pointed out that side by emphasis has also been given on settlement of the foreign buyer’s claims arising out exports, as quick settlement of export claims is an indirect incentive to the overseas buyer for our products. If the buyer becomes reluctant to accept discrepant documents without discount. like may allow discount on the request of the exporter, if discount is less than 10% of the export value, subject to post facto approval from export promotion Bureau. If the discount is more than 10% prior approval is required is required. Foreign commission, brokerage or other trade charges related to export might be allowed up to 5% without Bangladesh bank permission, but for more than 5%, permission is required. In case of export of books, journals, and magazines, 33% discount id allowable. Export claim may be deducted from the bill value or may be remitted against claim after full realization of the export proceeds. Remittance means sum of money remitted from one place to another. We send money from one place to another through post office, Banks etc. When money is transferred from one country to another then it is called foreign remittance. In all respect ABBL follows exchange control manual published in I986 by Bangladesh Bank. Respect of foreign remittance we are to follow that manual and circular time to lime from circulated Bangladesh Bank. Remittance means transfer of money/funds from one place to another. Money fund goes comes from one place to another through post office, Bank, etc. Inward: Inward remittance means remittance received from foreign countries or abroad. Outward: When foreign currency transferred from home country to other country them it is called foreign outward remittance. Foreign currency A/Cs under WES which plays a vital role on our all foreign exchange are opened by Bangladesh Nationals serving and earning abroad having income from sources other than Bangladesh (FCAD, FCAP, PC AY, RCADM). It is noted that current A/C also plays a vital role in foreign business. 1) Filling properly the relative A/C opening form. 8) Signature cards due and both A/C holder and nominee etc. Inward remittance coining in to our country from other countries financed by the purchases of freely convertible foreign countries by A/D defeat to non Resident Thana A/Cs of foreign banks. When foreign Currency transferred from home country to other it is called foreign outward remittance. Generally it includes all the remittance of invisible items: in broad sense it also includes the remittances against visible items. On March 24, 2004 Bangladeshi Taka was declared convertible for current account international transaction. As a result remittance becomes more liberalized. Outward remittance include sale of Foreign Currency by T.T, M.T, Draft, T.C or in cash for private, official and commercial purpose. a) Any Bangladeshi Nationals who want to travel can remit/bear foreign currency up to a minimum limit fixed by Bangladesh Bank from time to time. c) Student who are residing abroad for study purpose having permission from Bangladesh Govt./Bangladesh Bank. d) Medical treatment and other purposes having Bangladesh Bank permission. e) Bangladeshi Nationals warring abroad can also remit out of balance held in their foreign currency A/Cs against direct remittances. f) Foreign Nationals, Diplomatic missions, Embassy, juridical persons etc. Working/ residing in our country may also remit out of the fund already remitted to our country. g) Foreign nationals come to our country for visit purpose and on cash foreign currency into local currency may also remit in freeing currency upto maximum limit of his convened amount. i) Importers may also allow remitting foreign currency for their import as per import policy of Bangladesh Government. c) T (Telegraphic transfer or cable transfer). f) M.O (International Money Order). a) For Import Imp. Form duly signed. b) Oilier than import T/M form to be filled in. c) Permission from Bangladesh Bank if and when required. d) Papers regarding on casement when issued foreign travels. a) Foreign nationals working in Bangladesh may remit 50% of salary and 100% of leave salary as also actual savings and admissible pension benefits for their family maintenance. b) Moderate amount of foreign currency for maintenance abroad of family members (spouse, children, parents) of Bangladesh nationals are allowed. ADs are allowed to remit membership fees of foreign professionals and scientific institutions and fees for application, registration, admission, examinations in connection with admission into foreign educational institutions, supported by demand notice1 or letter of the concerned institution. Private travel quota entitlement of Bangladeshi national is set at US$ 3,000 per year for visit to countries other than SAARC member countries and Myanmar. Quota for SAARC member countries and Myanmar is US$ 1,000 for travel by air and US$ 500 for travel by overland route. The ADs may release up to US$ 10,000 for medical treatment abroad on the basis of the recommendation of the medical board. a) The ADs may issue T.C. to foreign nationals without any limit and currency notes up to US& 300 against surrender of equivalent foreign currency. ADs may release F.C. to the intending pilgrims as per institutions / circular to be issued by Bangladesh Bank each year. ADs may release up to US$ 6,000 to a new exporter for business travel abroad against recommendation of EPB. Local products are also entitled to a Business Travel quota as above. Merchandise exporters may retain up to 40% realized FOB value of their export. It is 7.5% for export of goods having high import content. For Inward Remittance, AB Bank established extensive drawing arrangement network with Banks and Exchange Companies located in the important countries of the world. RIA Financial Services, Inc. (“Ria”), a subsidiary of Euronet Worldwide, Inc. (NASDAQ: EEFT) and a leading global money transfer company, money transfer can be done worldwide in over 85 countries. Since being set up in 1987 Ria has become the third-largest global money transfer company. It provides a fast, reliable and secure money transfer service using quality technology to ensure easiest and fastest ways to send money to Gambia. AB Bank ltd has signed an electronic fund transfer (EFT) agreement with Ria Financial Services, a US-based worldwide money transfer company, says a press release. Ria Financial Services has a network of more than 11000 agents & 100 retails worldwide. It mainly operates in 48 US states,Canada, Europe,Asia,Australia 7 the Dominician Republic.This new service will give expatriate Bangladeshis around the world hassle-free remittance facilities. Kaiser A. Chowdhury, Presedient & Managing director of AB Bank Limited & juan Bianchi, President & CEO of Ria Financial Services, signed the agreement on behalf of their sides in Dhaka. The banking sector of Bangladesh played an important role towards economic growth of Bangladesh. From the beginning of financial year 2009 Bangladesh Bank took initiatives in reforming financial sector. Steps for prevention of money laundering, loan write off policy and effective measures to gain accountability and transparency made banking operations more acceptable. As a result, the image of banking sector has been elevated. Bangladesh Bank also identified five core risks areas for management of the banks and provided necessary guidelines for implementation. Those are: Foreign Exchange Risk Management, Asset Liability Management, Prevention of Money Laundering, Credit Risk Management, Internal Control and Compliance. This initiative will bring in overall discipline in the sector and enhance operational profit. AB Bank also maintains the rules and procedures impose by BB and try to overcome the adverse situation and contribute in the economic growth of the country. This chart simply shows in 2009 import business stood at Tk. 83911.51 million as compared to the volume of Tk. 78540.49 million in 2008.from 2005 to 2009, it is increasing. International trade is one of the important components of the AB Banks foreign exchange business. Major Import finance was in the areas of food items, textiles & scrap vessels among others. AB Bank Export volume growth was 15.67 percent as the total export reached tk. 76240.77 crore at the end of the year 2009. Export business concentration was in the area of frozen fish, readymade garments, knitwear & other indigenous products. AB Banks foreign correspondence relationships is spread across the world converting important financial centers including important financial houses. This network of over 300 correspondents has helped bank in expanding its international trade. Export business of the bank increased a little bit during the year 2009 but less than the year 2005 and 2006 & 2007. Export business handled by the Bank during the year 2009 amounted to Tk. 76240.77 million of the preceding year. The volume of foreign remittance in the year 2009 stood at Tk. 2452.33 million as compared to Tk. 1428.46 million in the preceding year registering an increase of 23.74 percent. Because extensive use of the technology along with large delivery has significantly fostered the growth of ABBL remittance business. ABBL has seen a successful year in 2009 in terms of expansion of its remittance business through its correspondent and exchange houses. The amount of Foreign Remittance is always lower than others and then the Import is higher than the Export. It’s been same as in all the year. The amount of remittance has been increasing year by year but very little. This trend same in Import section as increasing but the amount of Export is been remain same by last two years. During the last five years, the foreign trade financing of the Bank has witnessed steady growth. The AB Bank Ltd, under Bangladesh Bank’s rules & regulation, try to be more flexible to the clients to increase the profit from the Foreign Exchange year by year. Thus ABBL committed to the clients by their services and it has been proved by their last five years of Foreign Trade profile. Business in conventional banking system foreign currency is considered as goods not as currency and its value fluctuates continuously, which is too much difficult to understand. Banks deal with documents not with goods. So, today’s banking system is based on documents. Because all other sections of ABBL, Foreign exchange section is based on most part of computerized data and due to this reason it has to face some problems. Import has always been greater than export for every year. The increase in import from 2005 to 2009 for each bank has been approximately BDT 30000 million for every concerned bank. Whereas the rise in export has been approximately BDT 25000 million. This shows our dependency on foreign goods hence foreign trade. This is also the cause of negative balance of trade of Bangladesh. Rising demand for foreign currency creates rising trend in their price or value hence making our local currency weaker than before. Foreign remittance inward has also increased over the years for each bank but it is much lower than increase in import. Thus this low inflow of foreign currency into the country cannot cover up the balance of payment deficit. Backward linkage is a problem for foreign exchange, which is re related to back-to-back L/C. Backward linkage refers to those small industries that support the large industry. For example: for the production of a shirt, cloth, button and other accessories are required. Any problem of these small industries has effect on the large industry. In case of export, the exporter has to purchase some raw material from abroad. Because, some importers give some restriction on export. For example they may say that the exporter must purchase the cloth from Japan. In this case, our foreign currency is going to Japan and we are unable to use our local cloth. So, our local cloth industry is corrupted. Again, if for any reason, the exporter fails to receive that cloth in time, then he will be unable to produce that shirt and export in time will not be possible. As a result, relationship between the importer and exporter will hampered and the exporter will not be willing to import from that exporter again, and our country will loose foreign currency. To avoid this situation, the exporter is needed to have stock lot for which he will have to engage much money. Moreover it will incur inventory cost. Very few commodities are occupying major share of our export such as RMG, jute, frozen food etc. It should be spread out. The periphery of our export market is very narrow. Usage of latest technology such as swift, ATM computer should be increased. As a result customer dealing will be increased. And transaction will be made at a few minutes. Employee should be skilled in operating technology. If all the persons will be skilled, no person depends on others specific person for operating to perform the transactions. Function should be divided. If the function is divided according to its criteria; every person will be efficient in his particular area. And there will be no chance for making mistake. In foreign exchange, swift operator will be done many other functions such as making vouchers, filling the loan and investment form. As a result foreign exchange function is hampered. Foreign exchange section should be well accommodated and should be well furnished. Client cannot make noise in this section and transactions will be made smoothly. ABBL should publish manual for their foreign exchange section. Consequently, the officers of this section will be able to conduct their affairs easily without any discussion with the Vice Principal. As a result, it will save their time. Wherever they face any problem, they will follow the manual directly. It should diversify its item. More importance should be given on export because it assesses most of the variation in profit. As per coefficient of variation remittance is the most risky sector so attempts should be taken for lowering the risky ness. In spite of present limitations in the field of foreign exchange, banking system has tremendous potentiality in Bangladesh. Based on the notes taken from the entire above sources this report is written up gradually, at the time of the interview I have found that the ABBL is offering a full-fledged foreign exchange services. I have also found that in respect of foreign exchange dealings this branch has a good reputation among other branches of ABBL. The bank is also keeping a close eye on relevant developments & changes in Foreign Exchange policies, procedures and rules & regulations. ABBL handles more than 9% of country’s export and import trade. The bank has developed a wide network of correspondents for conducting foreign exchange business effectively and efficiently through out the world. The banking sector of Bangladesh is passing through a tremendous reform under the economic deregulation and opening up the economy. Currently this sector is becoming extremely competitive with the arrival of multinational banks as well as emerging and technological infrastructure, effective credit management, higher performance level utmost customer satisfaction and the transactions of foreign exchange. During the three month internship program at Foreign Exchange Branch almost all the desk have been observed more or less. This internship program, at first, has been arranged for gaining knowledge of practical banking and to compare this practical knowledge with theoretical knowledge. Through all departments and section are covered in the internship program it is not possible to go to depth activities of this branch because of time limitation. However, highest effort has hen given to achieve the objective of internship program.